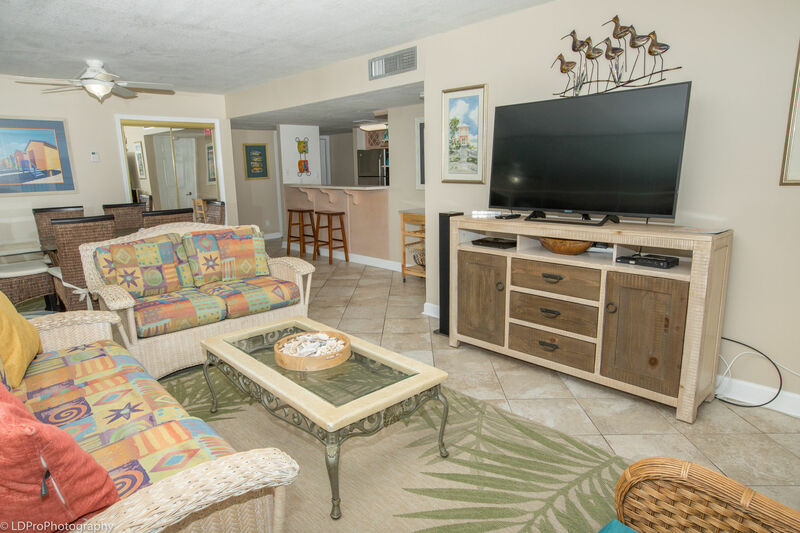 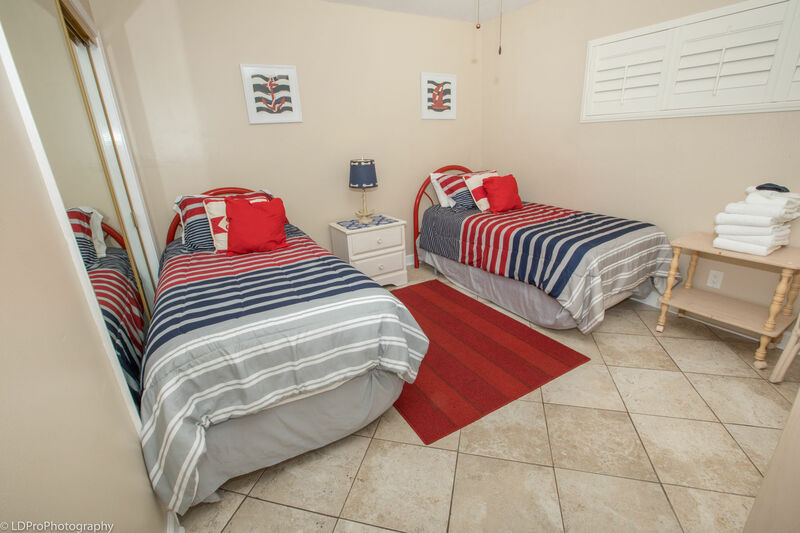 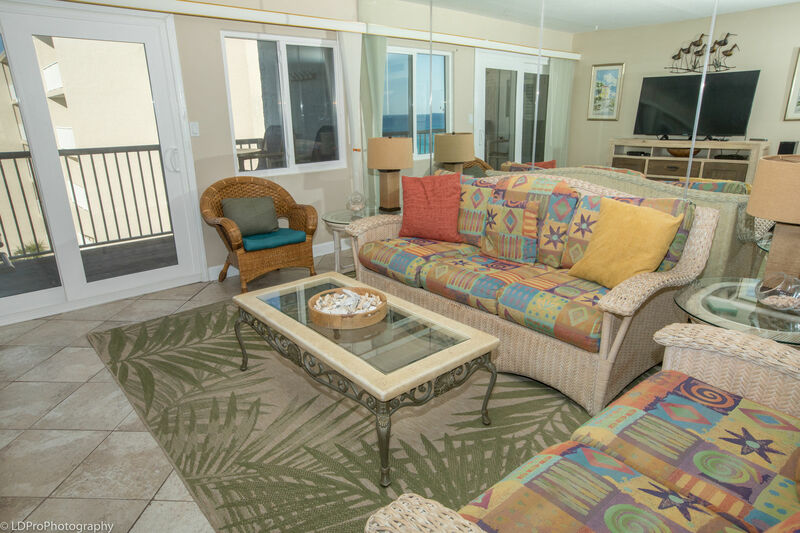 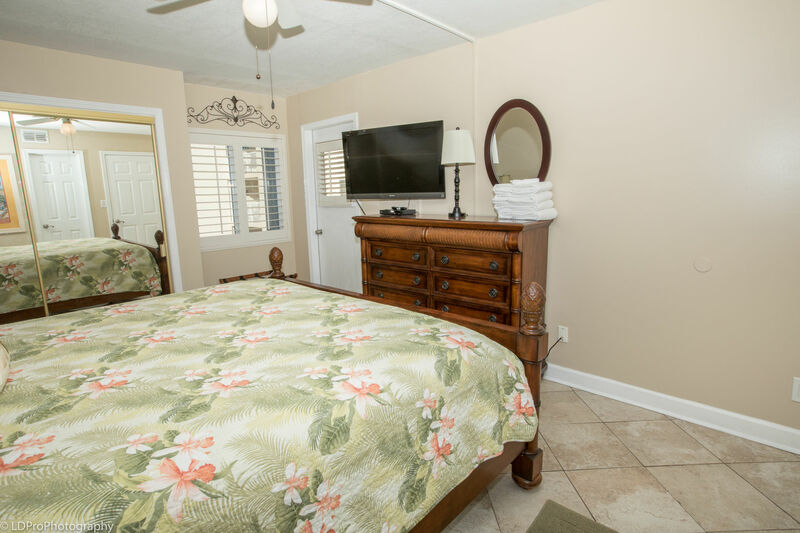 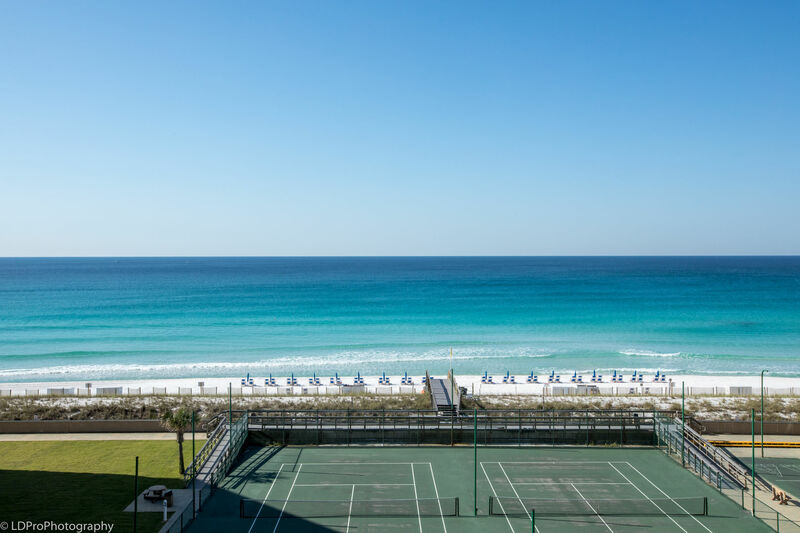 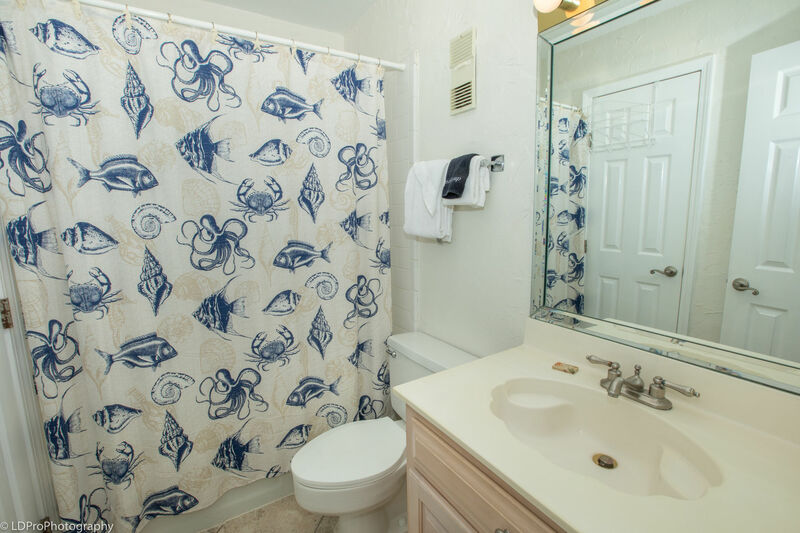 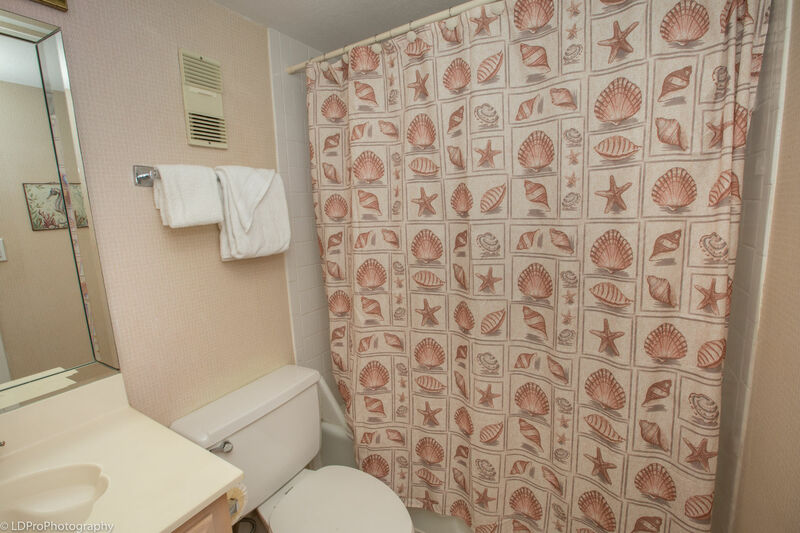 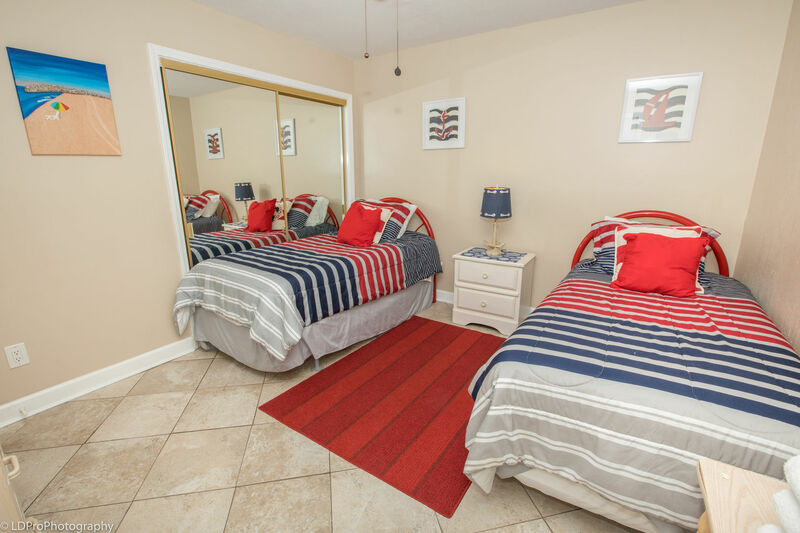 Holiday Surf & Racquet 614 - Holiday Isle Properties, Inc.
Holiday Surf and Racquet 614 is a beautiful two-bedroom, two-bathroom condo that accommodates up to 6 people. 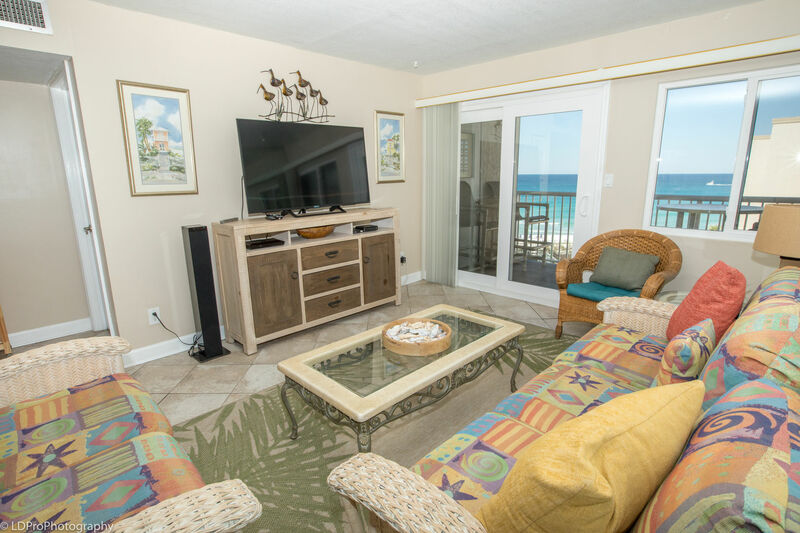 The Living Room has 55" 4K capable HDTV and Blu-Ray Player. 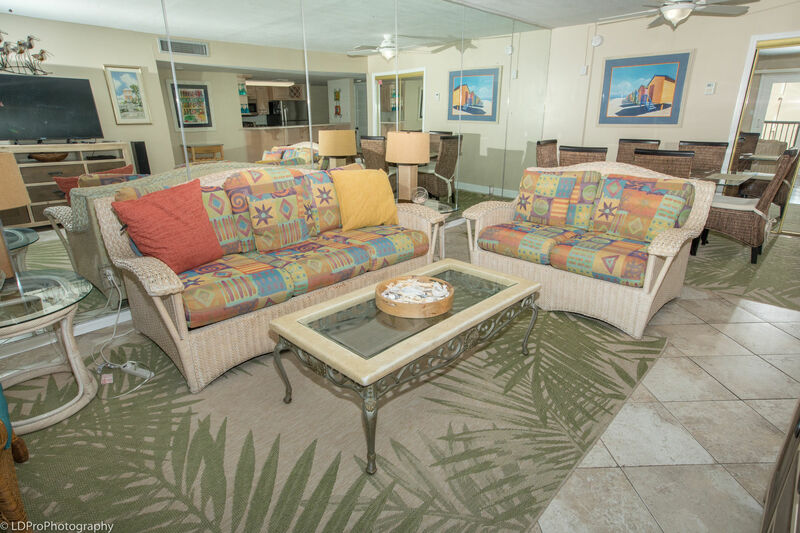 The comfortable sofa allows you to view the Gulf and folds out to a Queen Sofa Sleeper. 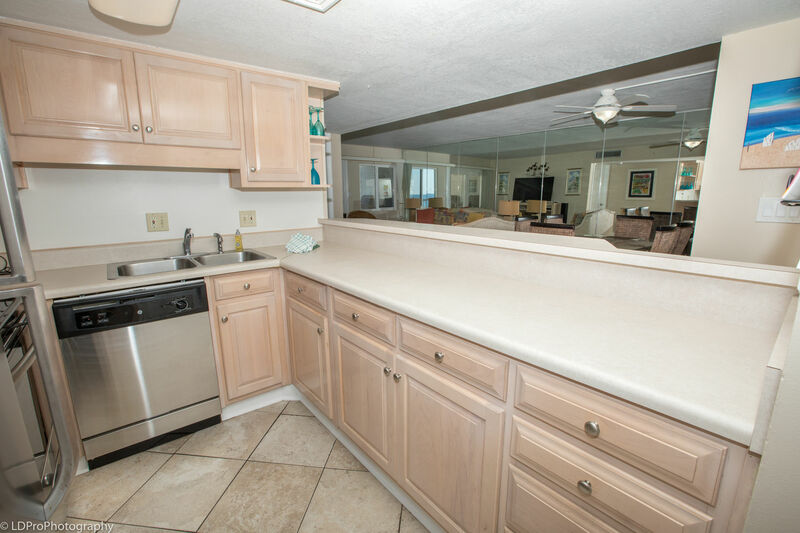 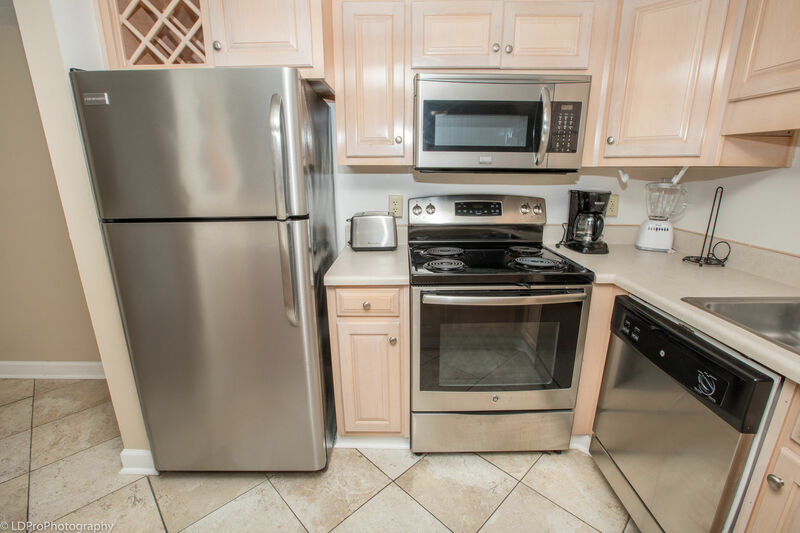 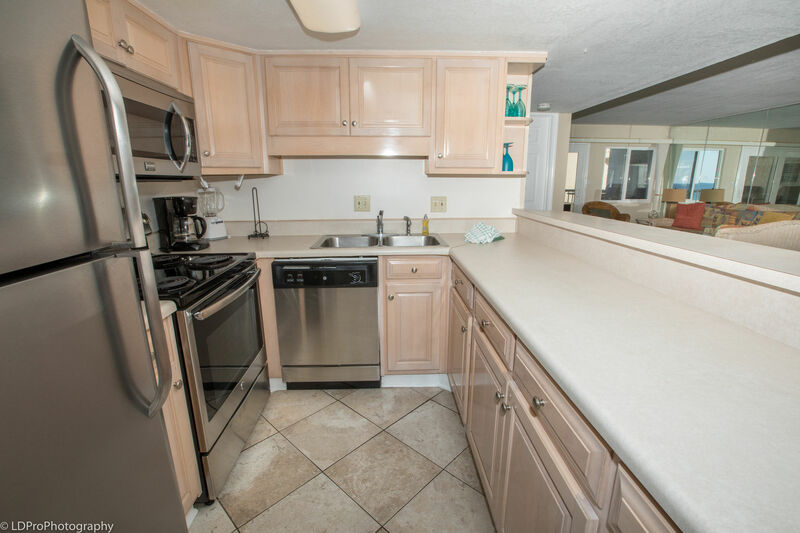 The kitchen is equipped with everything you'll need to cook your catch of the day and small appliances such as a blender and coffee maker. 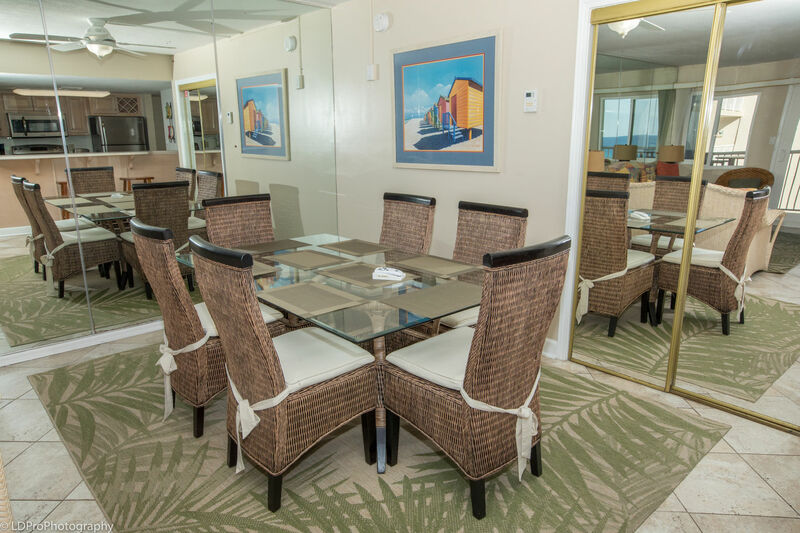 The dining area is large enough to sit the whole family as well. 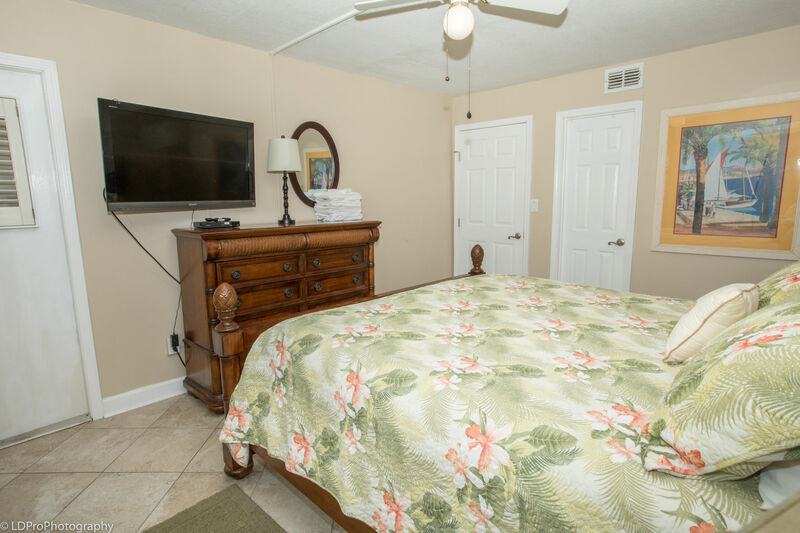 There is a King size bed in Master bedroom, 40" HDTV, & a Blu-Ray Player. 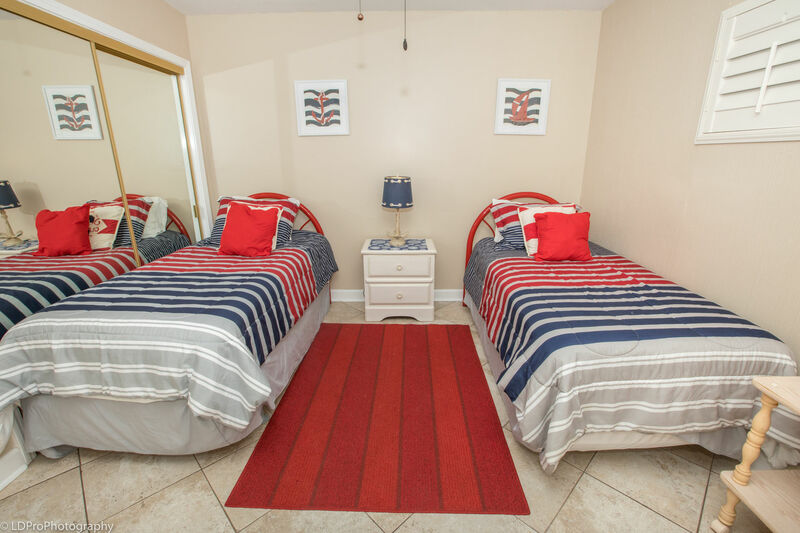 There are two Twin beds in Guest bedroom, a 32” HDTV& a Blu-Ray Player. 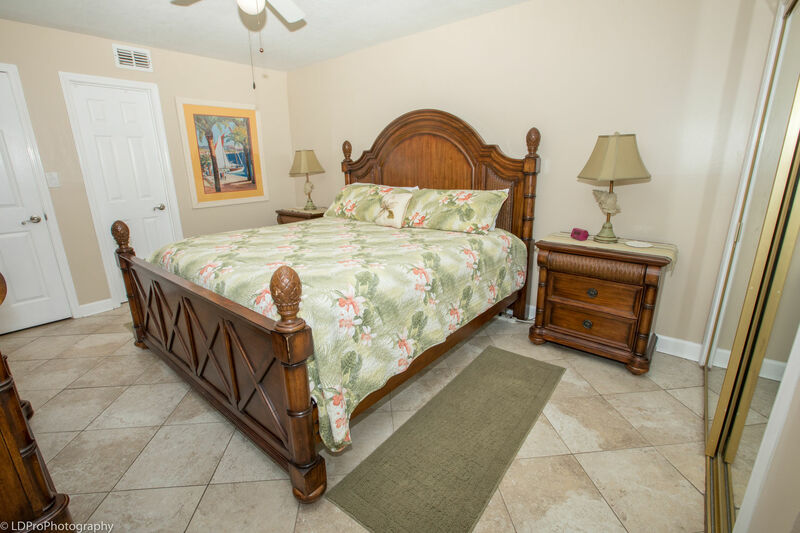 Both bedroom’s mattresses and box springs are brand new, purchased in 2018. 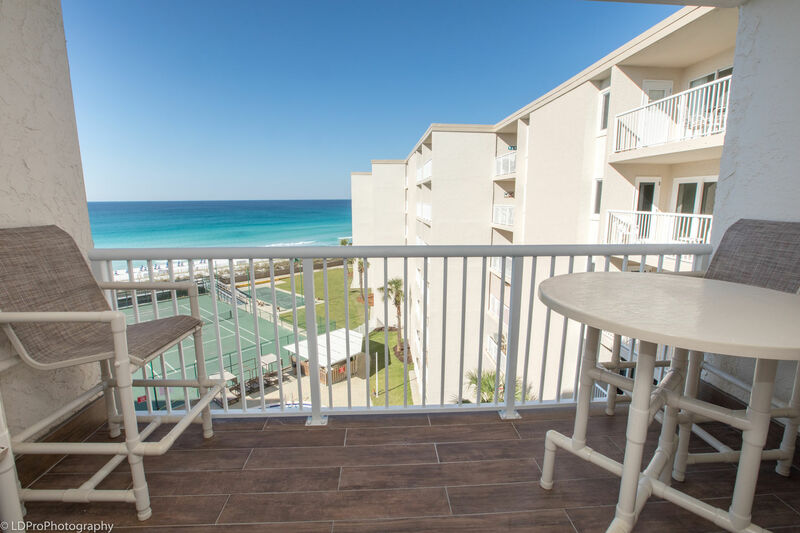 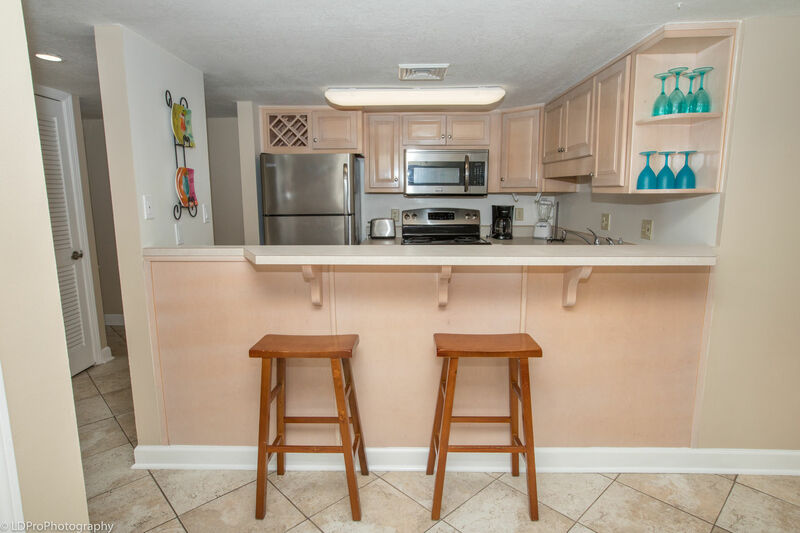 Feel free to enjoy your favorite music from your phone on the tower stereo while soaking up the beautiful view of the Gulf and the white sandy beach from your very own private balcony, which has been remodeled with Italian wood grain tile. 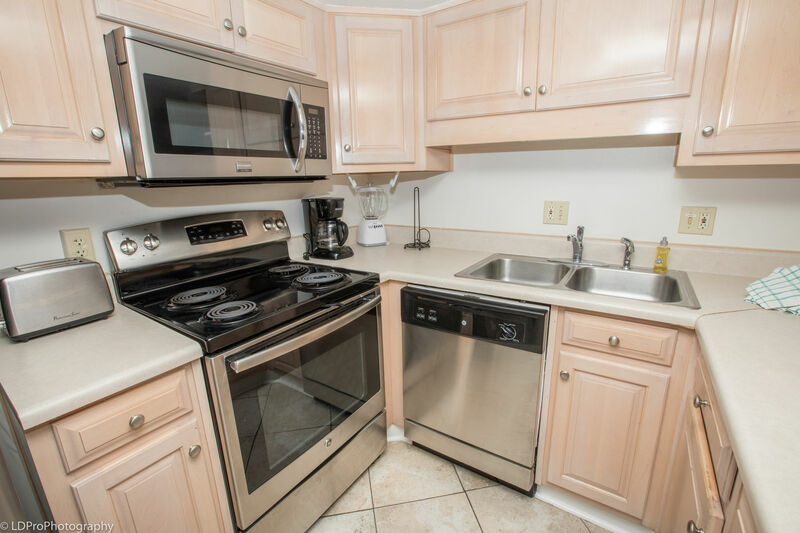 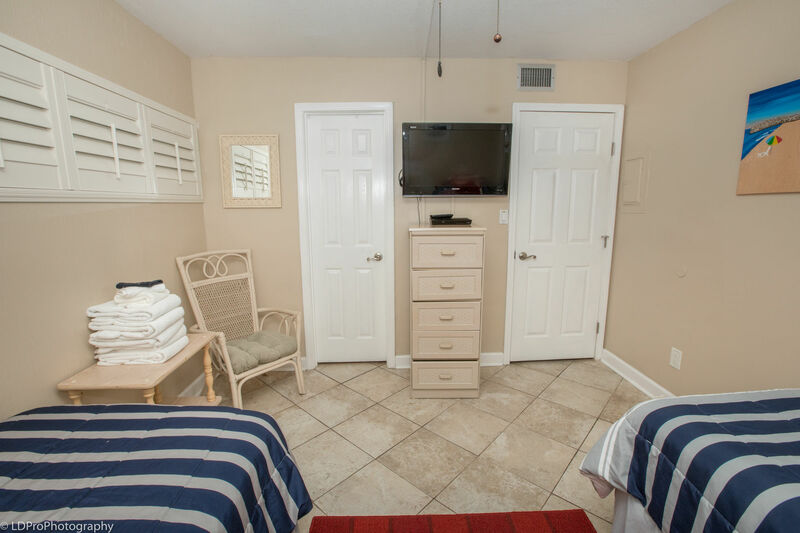 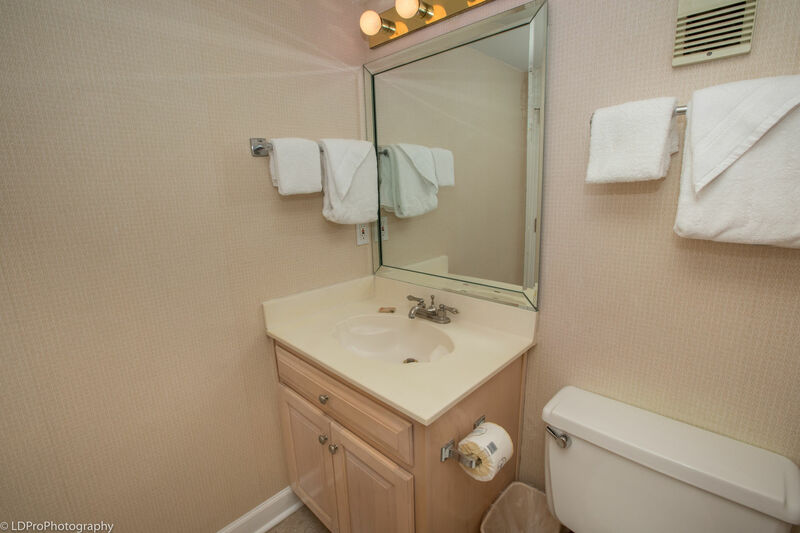 Complex amenities include coin laundry, an exercise room, tennis courts, & grills. 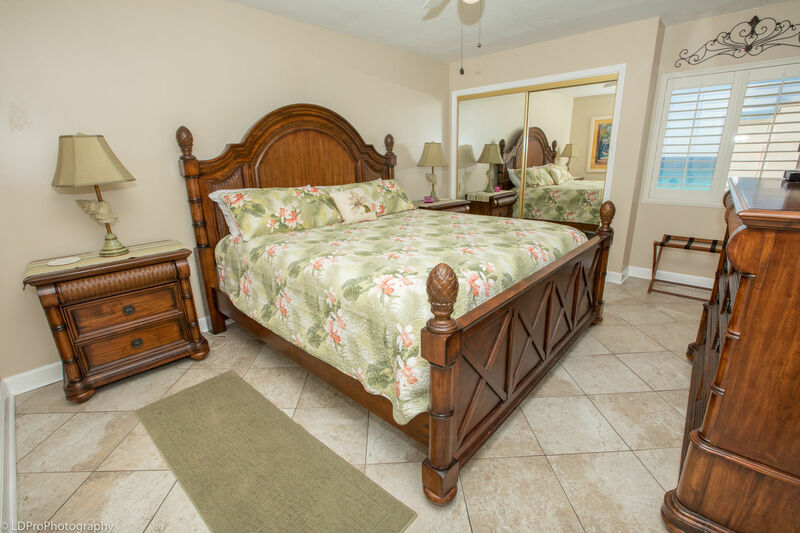 Great property, loved staying there. 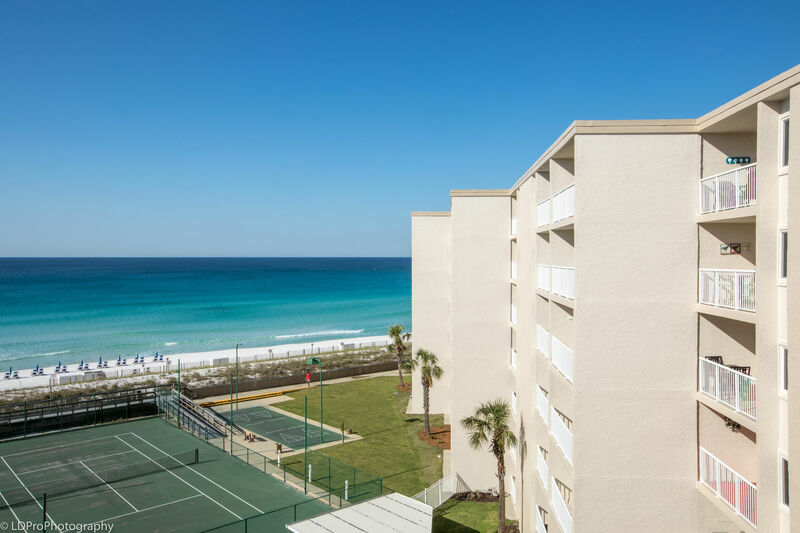 Look forward to staying there in the future.